Thanks to concrete, residential and commercial properties around the world are safely supported. However, the same concrete that brings structure to a building is often responsible for creating a cold, damp living environment. For a homeowner, this often means that a basement is not utilized to its full potential. It might be used for storage instead of offering an additional level of living space for a family. To warm up a basement, you could install carpet to help insulate the space. However, that won't heat up the area. Instead, you should turn to electric floor heating to warm up that cold concrete slab. 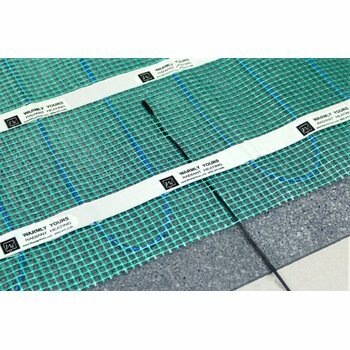 In the United States, you can heat under carpet using a floor-warming roll or mat made from reinforced, laminated aluminum foil with cable spaced 2 inches apart. However, many people turn to popular tile, stone and vinyl flooring options with electric floor heating installed underneath. These materials would typically add to the cold feeling of a basement, but with electric radiant heat, they offer an upscale way to warm up a room. 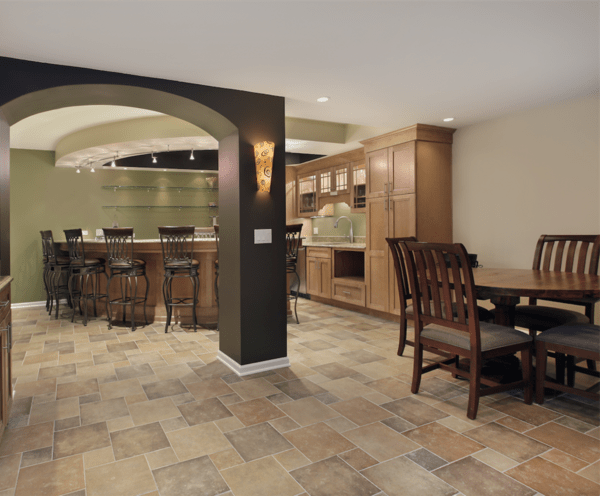 According to a bobvila.com article, ceramic tile is "the Cadillac of basement flooring," because it is unaffected by water or water vapor, which can often enter the basement through the concrete. Likewise, glue-down vinyl tiles or planks are water resistant, which is ideal in a basement. When you think of vinyl flooring, you might picture vinyl tiles from the 70s, featuring bright geometric patterns. Today, there is a new breed of vinyl called luxury vinyl tile or LVT. "Today's products can emulate the look of wood, ceramic or stone rather convincingly," states the bobvila.com article. 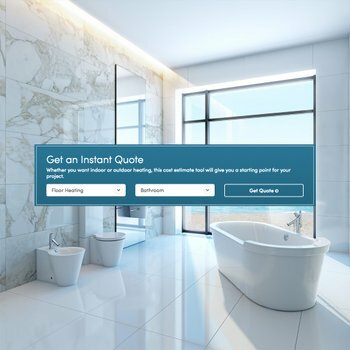 Whether you decide to install tile, stone or vinyl, you know your floor will be safe from potential water damage. But, if you install radiant floor heating on top of the slab and underneath the flooring surface, how can you ensure that the heating element is protected? Enter underlayment. CeraZorb® is a 3/16-inch (5-mm) thin synthetic cork underlayment that is highly recommended when installing a floor heating system over an existing concrete slab or under tile and stone. CeraZorb® acts as a moisture-resistant barrier that does not absorb water or swell under the effects of heat or cold weather. The synthetic cork underlayment will not rot and is impervious to mold and mildew. That means your electrical heating element will be protected from any potential water leakage from the concrete. 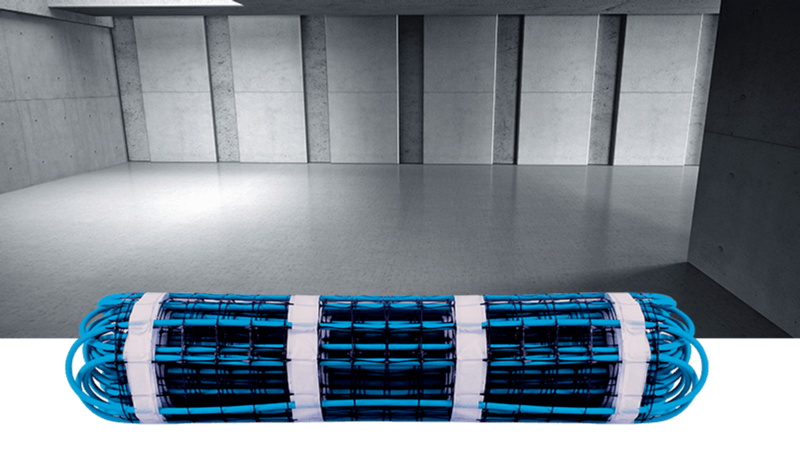 When CeraZorb® is used in conjunction with our TempZone™ electric radiant floor-heating system, the underlayment also enhances heat and sound insulation and increases proper heat distribution that results in cost effective operation. Plus, the underlayment helps to prevent cracks in the flooring surface, which is especially important with tile and stone. CeraZorb® was also designed to be easy to install. It comes in 4- by 2-foot sheets so that it will install flat against the concrete, without any curling or memory, as you would get with rolls of insulation. 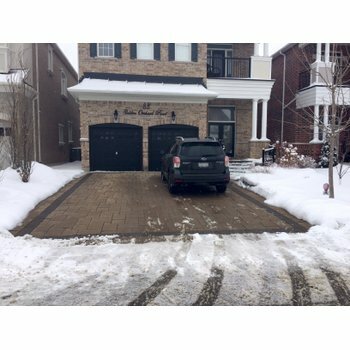 For new-construction homes, there is yet another way to heat up a cold slab, and it starts before the concrete has even hardened. Slab heating mats and cables can be installed directly in the concrete when it is being poured. Offering 20 watts per square foot, the slab heat mats are ideal if you'd like concrete to be the final flooring surface. In a basement, you might employ trendy finish floor like stamped, polished or stained concrete floors with radiant heat installed within. If you'd like to install another floor covering over the concrete, however, you should embed slab heating cable spaced 5 inches apart within a freshly poured concrete slab. The lower watt density of this cable allows you to add a floor covering of your choice installed on top of the concrete. The benefit of heating on a slab with cable is that the flooring can be removed or replaced at any time without impacting the radiant heat. If you installed tile over TempZone™ radiant heat in a bathroom, for instance, and you wanted to replace the tile, you would need to tear out the radiant heating as well because it's adhered to the tile with thinset. However you choose to heat your slab, the addition of radiant heating will turn your space into a comfortable retreat all year round. Have you used electric radiant heating to warm up a slab in your home? If so, share your story with us on the WarmlyYours Facebook page or tweet us at @WarmlyYours!